Last weekend I attended the Liberty States Fiction Writers conference. As always, it was a splendid affair, full of other writers and readers eager to meet old friends, make new acquaintances, freshen up skills and even make a few pitches to agents and editors. I managed to do all of the above, and more. 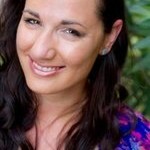 Perhaps what influenced me the most was the above speaker – Jennifer Armentrout. She’s widely known as a Young Adult and New Adult writer, but one glance at her list of books reveals her prolific ability to write just about anything. 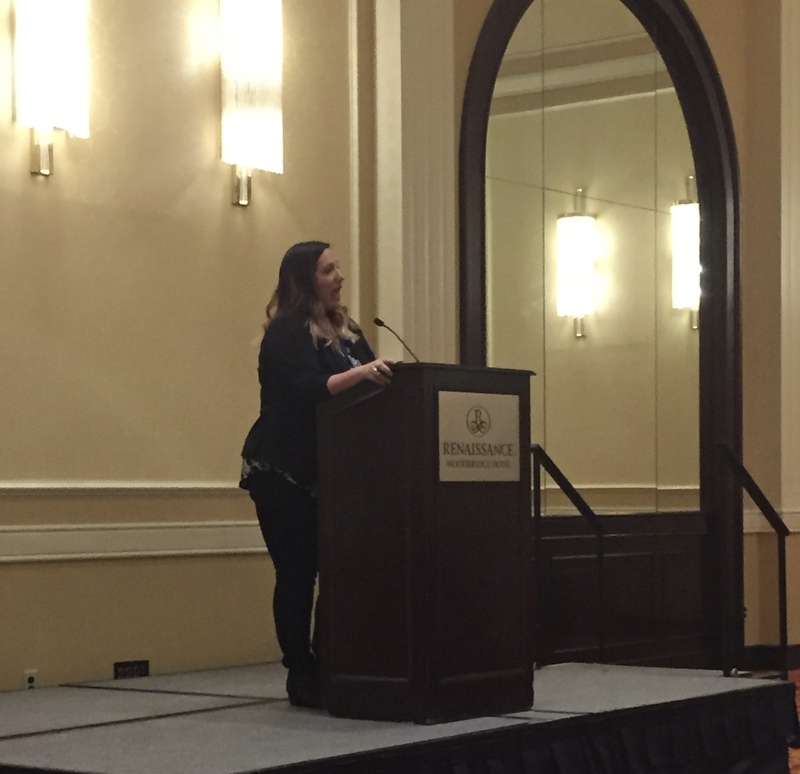 Ms. Armentrout was the keynote speaker on Saturday, delivering one of the memorable speeches I’ve ever heard. After listening to her, it wasn’t difficult to understand why she writes as much as she does. Sure, she loves her craft. Has a fantastic imagination. Can spin tales out of nothingness and make them live in universes not quite explored by others. But that’s not what hooked me. It’s what she does: take risks. Anyone in a creative field has to either take risks or quit. It’s not a wimpy business for sissies, no way. Although there’s plenty of self-doubt to paint the Sistine Chapel over and again, one learns quickly that if one keeps that up, one’s going nowhere in the publishing world. Yeah, in drearier moods I count myself among the talentless and weak. And sure, who doesn’t need the occasional pat-on-the-back to be reminded that your prose is worth reading? Jennifer won’t have it. She’s got books to write. Amazingly, she’s stuck with the same agent for her entire career, but she’s taken some incredible risks. Taken offers from publishers who might not have paid her what another would, but offered her greater freedom for her creativity. Not afraid to tackle a subject she knows little about. Maybe even try self-publishing and see what happens. At any rate, she sits down in front of her computer and composes her works for eight hours every day. Sometimes more. But she has to. It’s part of her, to dream, to create, to write. Perhaps the most powerful engine driving her is a simple matter of her health. At a routine eye exam, it was discovered she has retinitis pigmentosa, or RP. It’s the gradual withdrawal of one’s ability to see. It’s a cruel disease. As it progresses, the peripheral vision fades, resulting in ever-increasing tunnel vision, until the curtains close forever. There is no cure. At the present time, her vision is still with her, although her peripheral vision is fading. No one can predict when or how long her vision will last, but Jennifer isn’t waiting for the lights to dim forever. She’s got stories to tell. She’s not waiting for blindness to set in. She doesn’t feel sorry for herself, nor does she expect anyone else to. So there she is, eight hours a day, writing like there’s no tomorrow, taking risks, and nothing will ever stop her. It gave me a whole new perspective on not only writing, but life. We are put here on earth to succeed. If we don’t, we’ll fade. Why should I let anything hold me back from trying my very best to endure? Aren’t my words worth the risk?